An office table that also blends seamlessly into the home environment, the Neat has been designed with minimalism, versatility and aesthetic appeal in mind. Unlike boxy and intrusive work tables, this item has been sensitively designed with aesthetic in mind as much as functionality. The legs and frame are drawn aluminium while the surface is coated metal with an embossed finish which is smooth to the touch although a variety of finishes are available. 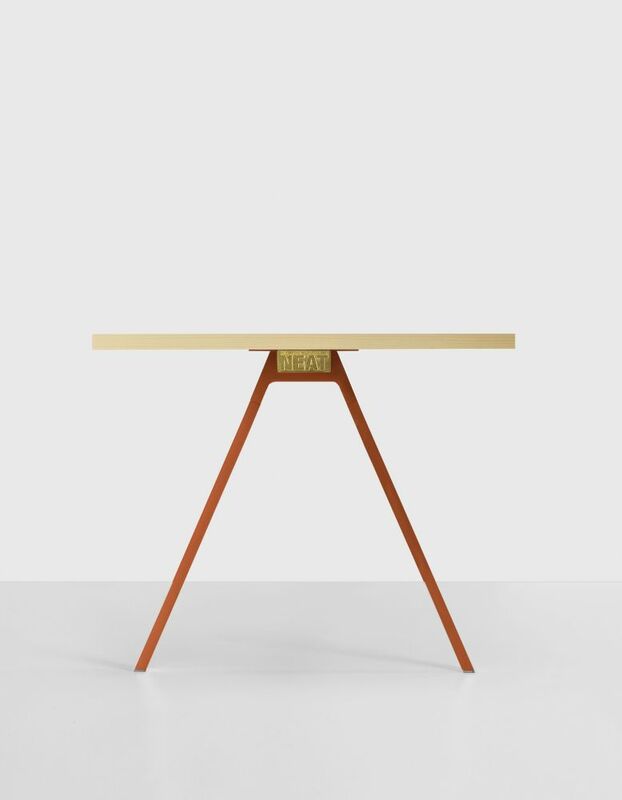 An even thinner version of this table is also available in an all white shade with the colour option of black or red for the frame and legs. This thinner version can be mounted in an altered position to accommodate available space. Thanks to a clever use of magnets embedded into the material, the front and side screens can be repositioned according to your needs. Whether you want a stylish table for home use or a sleek office table that offers privacy when required, the versatility of this design allows for multiple uses. The versatility of the Neat table can go even further by adding a modesty panel which can change the shape and function of the item. Offered in two sizes (60cm X 35cm, 120cm X 65cm) the screens are made of polyurethane which results in a soft and tactile effect.